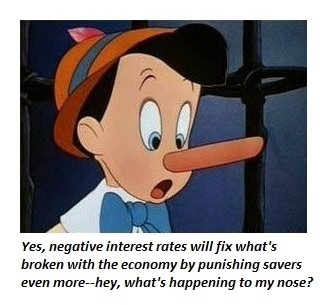 Interestingly, after seven years of weak growth and rising wealth/income inequality, the mainstream media is finally discussing the reality that the official "fixes" of quantitative easing (QE) and zero-interest rate policy (ZIRP) have not been solutions at all: they've only exacerbated imbalances and inequalities that have grown in size and severity. There is a high price to be paid for not solving problems, just as there is a great dividend for those few who have learned to tackle problems head-on in a brutally honest fashion. This essay was drawn from Musings Report 27. The weekly Musings Reports are emailed exclusively to subscribers and major contributors ($5/month or $50 annually).